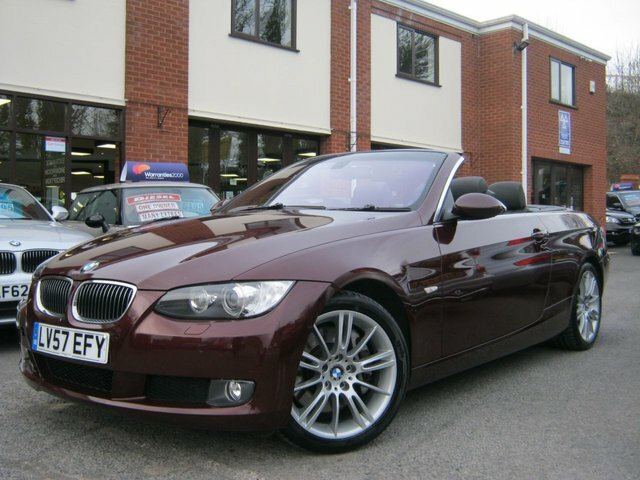 This lovely 2007 57-Reg BMW 330i SE Convertible must be seen and driven!!!! with only 3 previous owners and supplied in lovely metallic merlot red with full black leather trim, it has a great spec with extras including full factory fitted sat nav and bluetooth phone prep,electric folding mirrors,front and rear parking sensors,cruise control,climatte control,Xenon headlamps with washers,auto lights and wipers,centre armrest and alloy wheels, it is also supplied with FSH,massive value for such a good all round car!!! 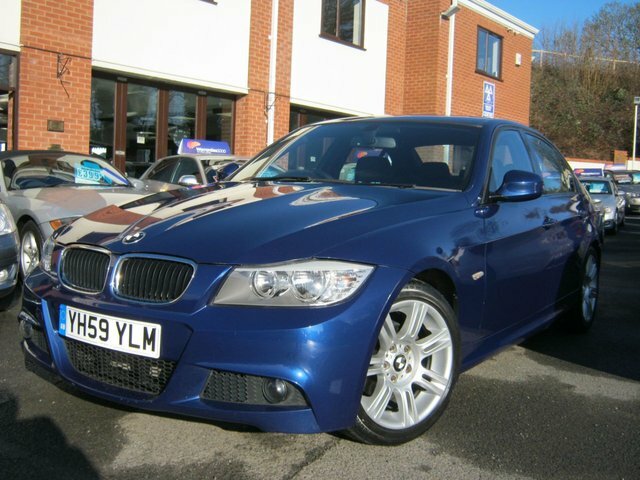 This superb 2009 59-Reg BMW 318D M-Sport auto has covered just 64,000 miles with FSH,it comes presented in Le Mans Blue with black cloth/Alcantara sports trim, it has a nice spec with extras including rare fully automatic gearbox,rear parking sensors,cruise control,climate control,centre armrest, Aux interface and cd player, great condition inside and out wont be many around with this mileage!!! 2001 BMW 320 Ci Auto Convertible Finished in Dazzling Aqua Blue Metallic and fitted with extended Soft Grey Leather Interior - Blue Mohair Electric Hood - Has a comprehensive Service History with 9 Stamps in the book and covered just 80,000 miles...!! 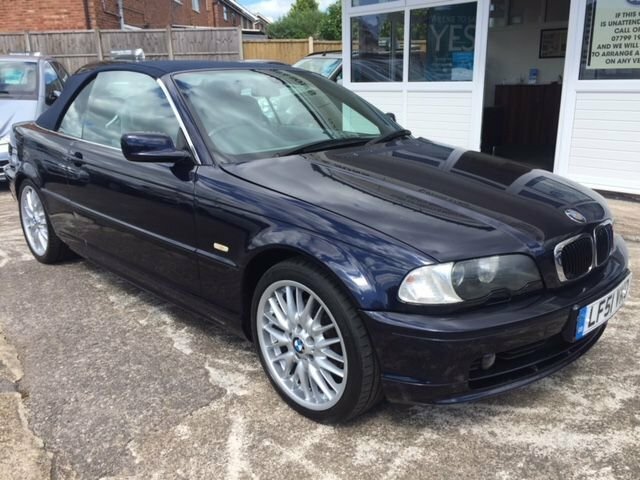 Every MOT been kept and features electric Leather seats, Electric Windows, Electric Mirrors, Air Con Rear Parking Sensors and all usual BMW Refinements…!!! BJH Motors and Sons is the best place to start your search for a used BMW 3 Series in Worcester. This compact executive saloon is known for its stylish, sporty looks, spacious and well-equipped interior and impressive reliability. Capable of taking your driving experience to new heights, the 3 Series exceeds expectations at every turn. Take one of our used BMW 3 Series models for a test drive today. Simply contact a member of the BJH Motors and Sons team for more information. Trained technicians have rigorously inspected all of the used cars you'll find for sale on our forecourt, meaning our customers always get to enjoy complete peace of mind.